Bladder weakness is just as common as hay fever and affects about seven per cent of the population. In fact around one in four women over 35 women in the UK have experienced bladder weakness. Natracare's Dry and Light pads are a soft and discreet helping hand. They are the first pads of their kind; made from totally chlorine free sustainable and natural biodegradable materials that are also free from petroleum-derived super absorbents and plastics found in many other products. Natracare's all natural principles give women comfortable reliable protection as well as caring for the environment. Over 99% Biodegradable and Compostable. 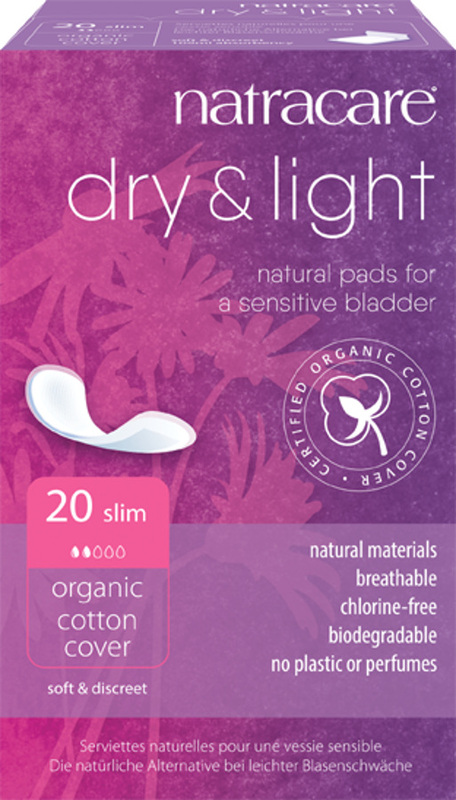 The Natracare Organic Cotton Dry & Light Incontinence Pads - Pack of 20 product ethics are indicated below. To learn more about these product ethics and to see related products, follow the links below. These seem fine. They do tend to disintegrate a bit when wearing all day. However, they do their job adequately. Happy that they are degradable. excellent products particularly in view of the fact they are unbleached. 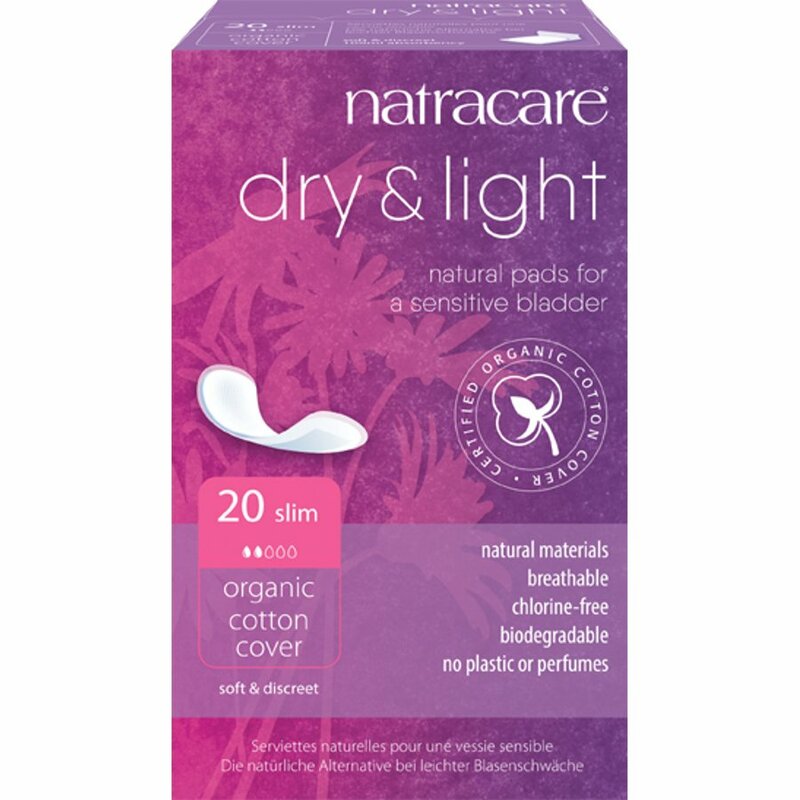 There are currently no questions to display about Natracare Organic Cotton Dry & Light Incontinence Pads - Pack of 20.